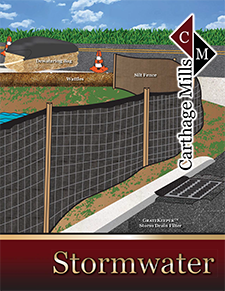 This product offering is continuously expanding to support the many needs of local Stormwater, Erosion Control and Jobsite Accessory requirements; therefore, not all of the available products may be listed below. » Please call us at 800-543-4430 for product availability, pricing and delivery. Call today at 800-543-4430 for special pricing and delivery on a custom-loaded Mixed Truckload of these Stormwater & Sediment Control / BMP products.